Finally a break in the weather, the temperature is in the 60’s. Don’t get me wrong, I enjoy summer, but once we get into September, I’m ready for some cooler weather. So for me, it’s a perfect Saturday to do some crafting, cooking ( I have some vegetable soup simmer on the stove) or just kicking back and watching an old movie. At 60 years of age, there comes a time in my life when I just have to take a day off from worrying about if the house is clean enough and just enjoy the house…do you know what I’m saying? 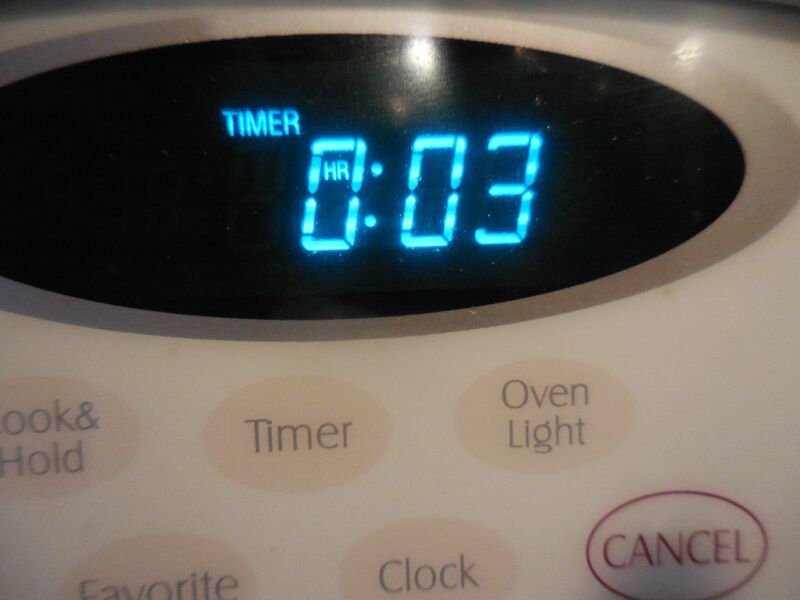 Seriously, I can clean until the cows come home and it never stays that way for long…at least in my household! When the weather is cool, I just want something that’s going to make me feel warm and cozy inside. 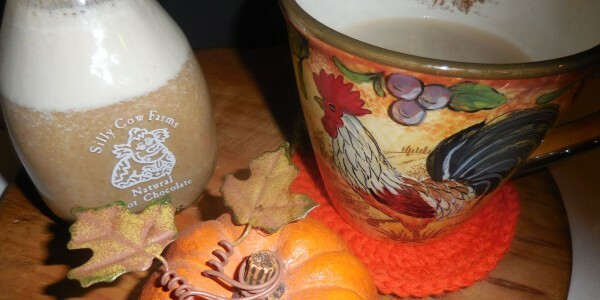 I am a pumpkin lover, I love the taste of it and I love my coffee too, and what better combination than pumpkin in your coffee. 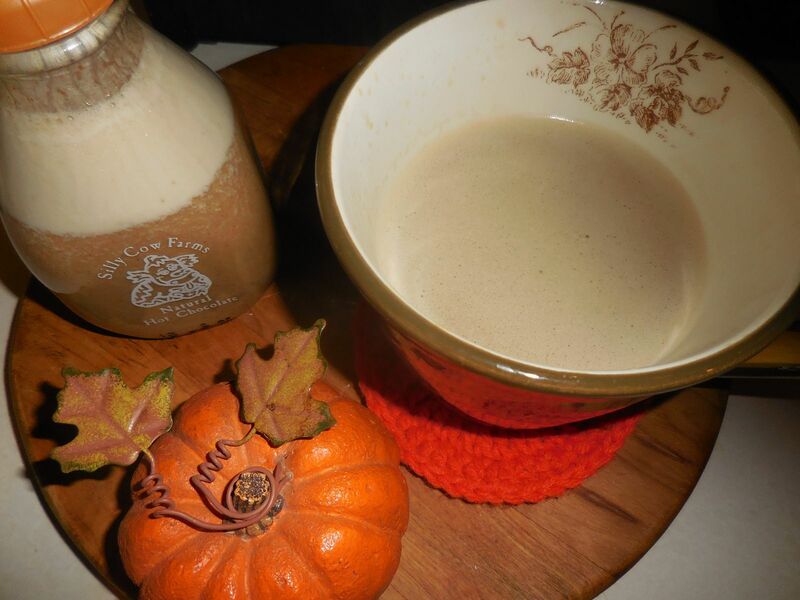 Before you turn up your nose- I’m not suggesting you just put some plain pumpkin puree in your coffee… I’m talking about a Pumpkin Spice Coffee Creamer. So let me share the recipe with you! 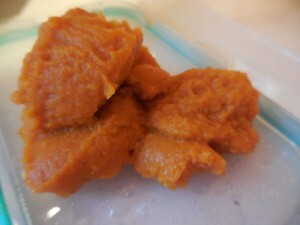 I had some left over pumpkin puree in the refrigerator that needed used up. It’s really pretty simple and the recipe I’m sharing with you will make a small batch. That way if you don’t like it, you haven’t wasted that much. Everyone’s tastes buds are different, so what I like you may not! 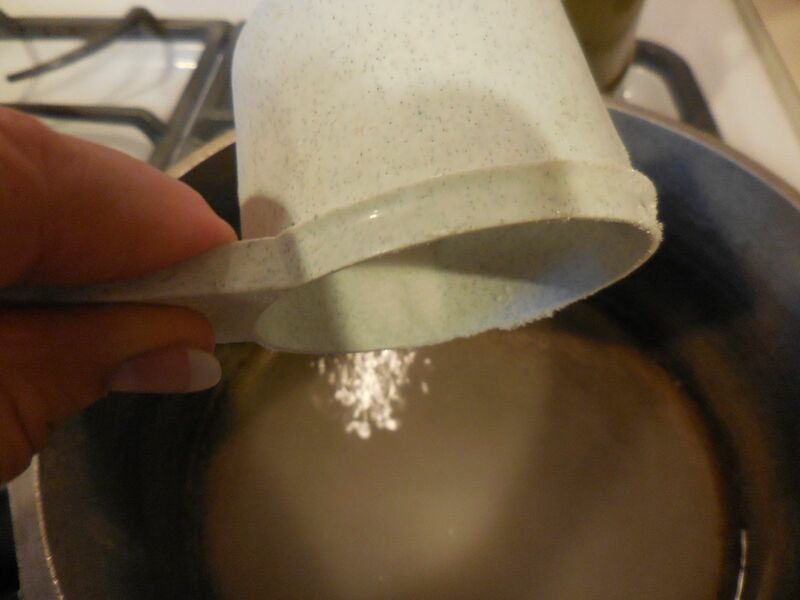 Put 1 1/2 cups of water into a saucepan and bring to a boil. Add 3/4 cup of sugar and stir until dissolved. 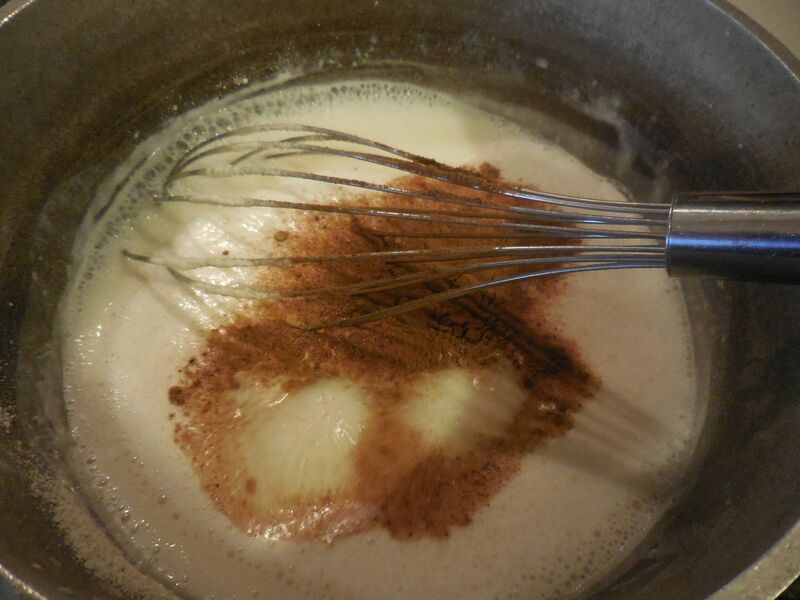 Next, add in 1 cup of non-dairy cream, stir until that is also dissolved. Then add, 4 Tablespoons of pumpkin puree (not the pie filling) Then add 1/2 teaspoon of pumpkin pie spice. Stir to incorporate. Just so you know, I added 1 teaspoon into mine, I like the flavors of my homemade pumpkin pie spice. I will put the recipe at the bottom of this post. Turn heat down to med-low and cook for 3 minutes, stirring constantly. 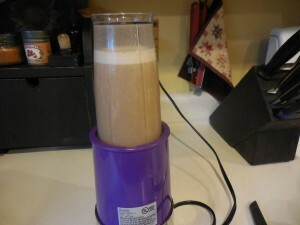 Remove from heat and pour into blender or food processor and puree for 1 minute. When mixture has cooled, pour into your container. You can use a mason jar or even a creamer container you have recycled. I have a collection of small, glass milk bottles so I used one of them for mine. 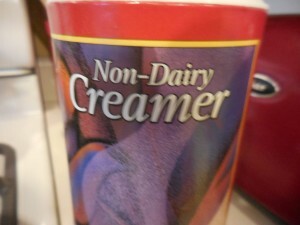 Be sure to refrigerate and use as you would any store bought, seasonal, pumpkin coffee creamer. I would give it a shake before pouring it into your coffee to get the spices off the bottom. If you only used a 1/2 tsp of the pumpkin pie spice, you might want to add more and stir it into your coffee or sprinkle some on top. You can buy a container of non-dairy creamer at the Dollar Store, so you can make this for 1/4 of what you pay for the store brand. You might as well make some of it too, since you already have the pumpkin puree opened. Don’t forget, you can always double the recipe!! This is my recipe for the pumpkin pie spice: 1/4 cup ground cinnamon, 4 teaspoons ground nutmeg, 4 teaspoons ground ginger, 1 tablespoon ground allspice. Mix ingredients together and put into a sealed container. I prefer to put mine in a small glass jar and put the ingredients right into the jar. Then shake it to incorporate the different spices.